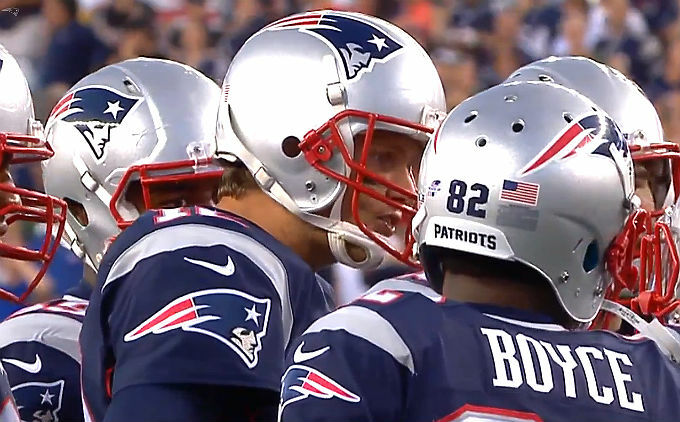 TEXAS – New England Patriots remain No. 1 in the ESPN 2015 NFL Power Rankings for Week 5, which released on Tuesday. The Patriots (3-0) were idle in Week 4 of the NFL schedule this past weekend, but have looked very impressive and effective through their first three games than the clubs which have improved to 4-0. Green Bay Packers (4-0) who have been very disciplined with the ball, are up one spot to No. 2, with the Denver Broncos (4-0) also moving up one place to No. 3 in this week’s NFL Power Rankings. New Orleans Saints, St. Louis Rams and the New York Jets were all big movers in the Week 5 edition. The Saints (1-3), who stunned the Dallas Cowboys 26-20 for their first win of the season, moved up 10 places in this week’s ESPN 2015 NFL Power Rankings – at No. 21. The win on Sunday was somewhat of an improvement for New Orleans, which for the first time since last season’s Week 13, the team committed zero turnovers. Meanwhile, suffering the biggest drops this week were the Houston Texans (1-3) and the Miami Dolphins (1-3). Miami, which was again unimpressive against the Jets at Wembley, England, on Sunday, has been skidding very quickly in the result column, while the offensive side on the stats table hasn’t been particularly impressive either. The Dolphins have been very poor this season and have been outscored by 34 points in the first quarter, which is a league-worst. In fact, the strugglers’ only first quarter this campaign was a field goal against the Jacksonville Jaguars in Week 2, a game they dropped 23-20. Against the Washington Redskins they were down 3-0 after the opening quarter, 14-0 against the Buffalo Bills and 10-0 against the Jets. It’s no wonder head coach Joe Philbin was fired four games into the new term. The Texans have also been declining rapidly. They have a points difference of -31, which is sixth-worst in the league so far. Houston also ranks last in completion percentage (52.7) and yards per attempt (5.9) this season, with Brian Hoyer and Ryan Mallett combining for 106 of 201 and 1188 yards. The Seahawks at #7 with a 2-2 record with wins against Chicago and Detroit? And the win against Detroit is questionable. Just sayin'.